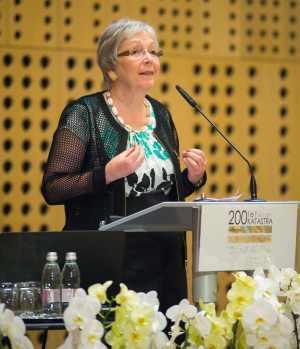 Gerda Schennach, chair of FIG Commission 7 and ACCO representative to Council attended the conference organised by The Association of Surveyors of Slovenia to celebrate the 200-anniversary of the land cadastre. 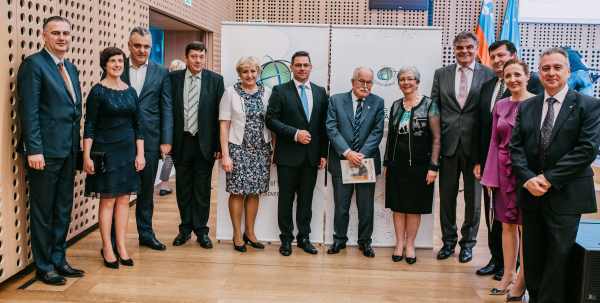 The Association of Surveyors of Slovenia organized the two-days event entitled “The Surveyed Land: 200 Years of The Cadastre in Slovenian Lands” to celebrate the 200-anniversary of the land cadastre. 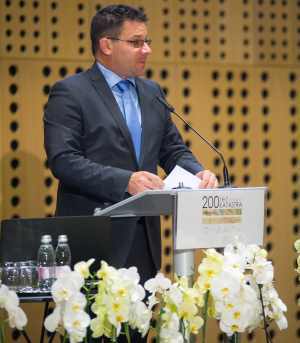 Slovenia shared the land cadastre origins with the countries that used to be a part of the former Habsburg Monarchy in the beginning of the 19th century. Namely, in December 1817 the former monarchy issued the Land Tax Act that provided the basis for the systematic cadastral surveying. 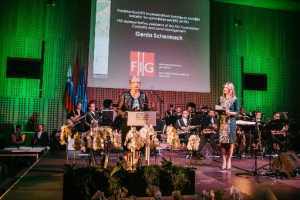 At the Tuesday’s ceremonial academy with a concert by the Big Band of the Slovenian Armed Forces Band, Gerda Schennach held the speech on behalf of the FIG. The president of the Council of European Geodetic Surveyors (CLGE), Maurice Barbieri, also participated in the event and congratulated for this great tradition. Beside representatives of the Slovenian academic, public and private institutions, many guests from Austria, Croatia, Serbia and Macedonia joined the event. 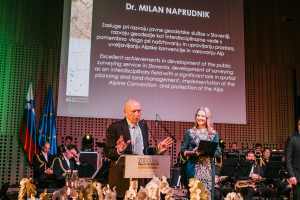 Dr. Milan Naprudnik received the award of the Association of Surveyors of Slovenia for lifetime achievements on the occasion of his 90th birthday. The topic of the traditional professional symposium, that was hold on Wednesday, was this year, with the pending celebration of 200 years of systematic cadatral surveying in Slovenian lands, dedicated to land registration and land management. In the first morning session with plenary lectures, Gerda Schennach gave a presentation about the concept of contemporary cadastre (Cadastre 4.0).